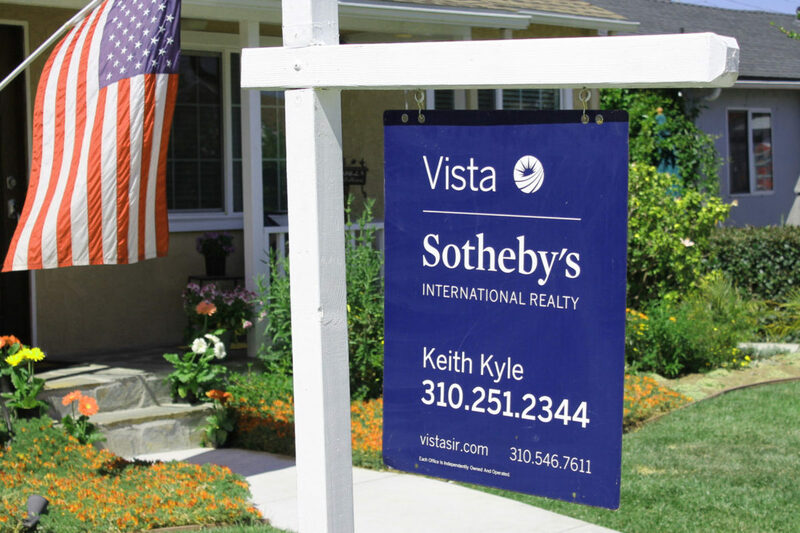 View the current homes for sale in El Segundo or type in the details of your search to see the homes for sale in the areas you’re interested in. 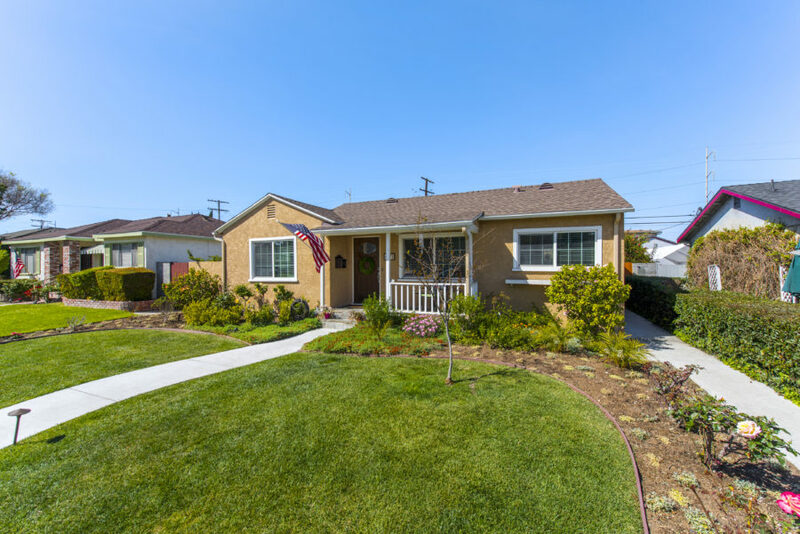 While usually the single family homes for sale in El Segundo are limited at best, today was a big day by El Segundo standards. 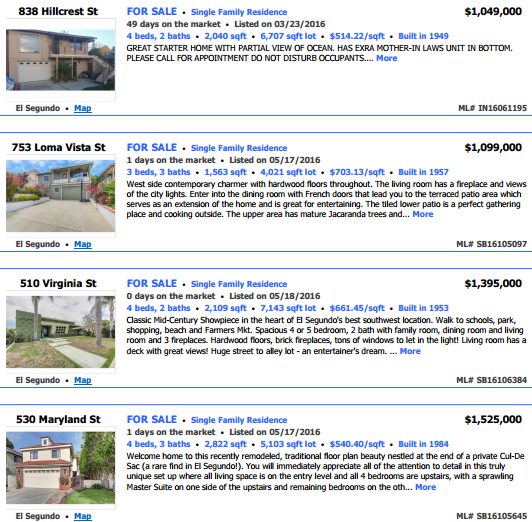 Four new home listings hit the market today and the other big news is that all four were listed over $1,000,000. 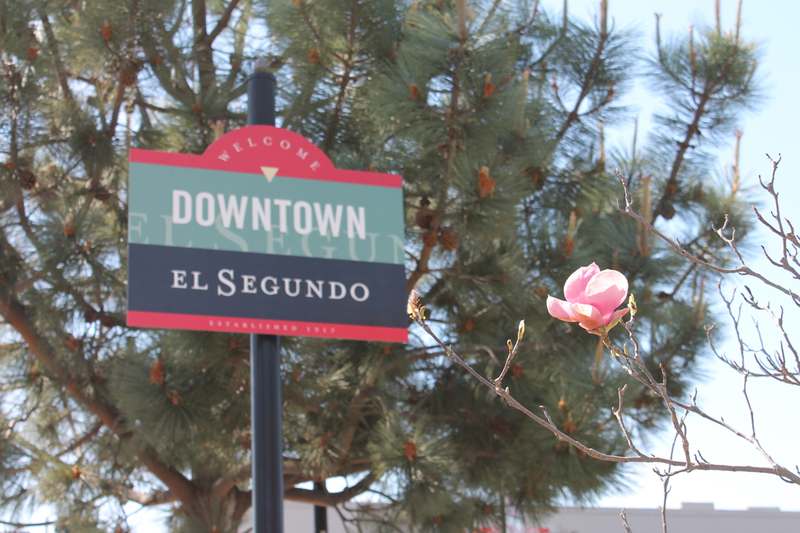 Most months the median home prices in El Segundo are below $1,000,000 so it’s impressive to see everything hit the market at this price point. 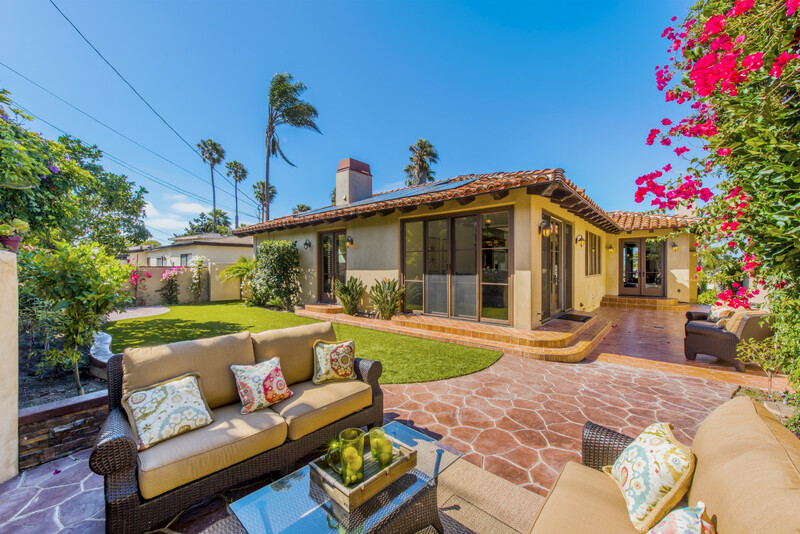 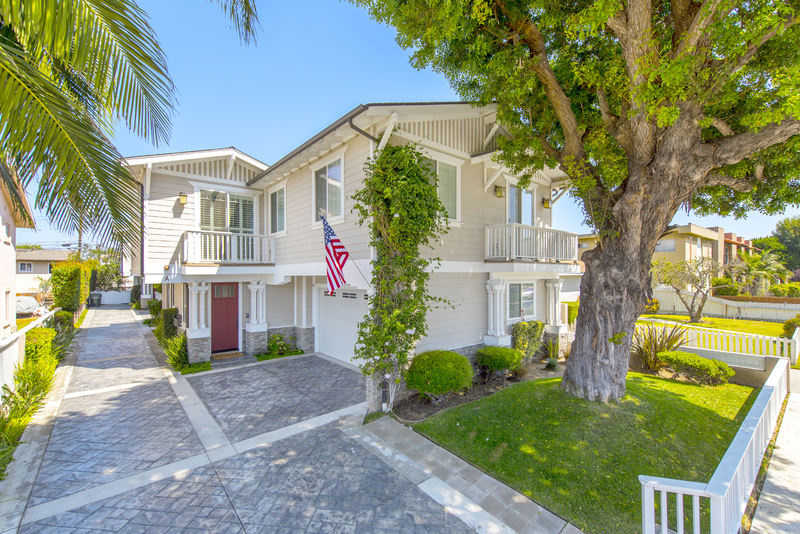 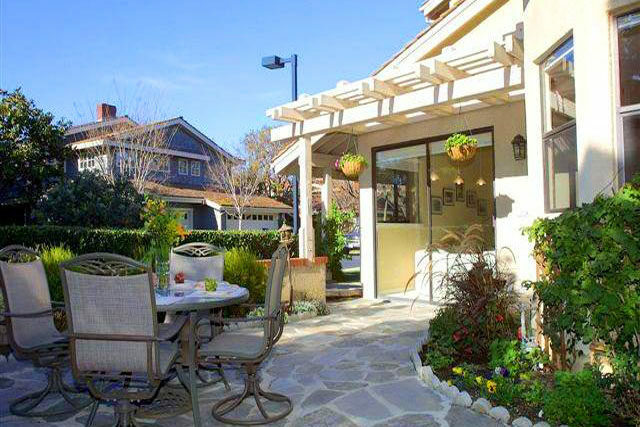 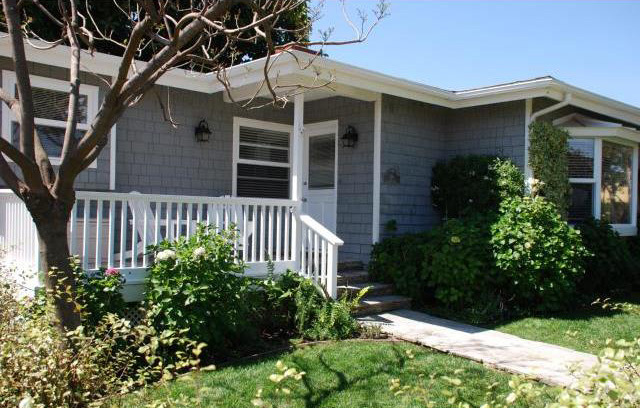 Click to see the full list of homes for sale in El Segundo.